Visit us in Caulfield South or Elwood. Early and late appointments available. Walk-ins welcome! Technology has changed our lives. For the most part, it’s been for the better – who doesn’t love being able to hitch a ride on-demand, or have any question answered immediately? It’s even helped physiotherapists like us deliver even better results to people suffering pain. New technology takes the guesswork out of diagnosing pain, and we’re closely watching the development of technologies like powered exoskeletons. While technology has been a net benefit, it’s not without its downsides. Has technology has changed our posture? We, on average, live more sedentary lives than our parents did. More and more of our entertainment is on screens, and jobs are becoming increasingly computer- and desk-bound. With that in mind, it’s almost inevitable that we’d see an increase in problems that appear to be technology-related problems (it’s a controversial topic). Some say technology-adaptive postures are ruining our bodies, some say that posture has no correlation to increased pain. The truth, we feel, is somewhere in the middle. The fact of the matter is that computers and phones aren’t just hard on the eyes – neck and shoulder pain is also a potential problem with spending time in that position. 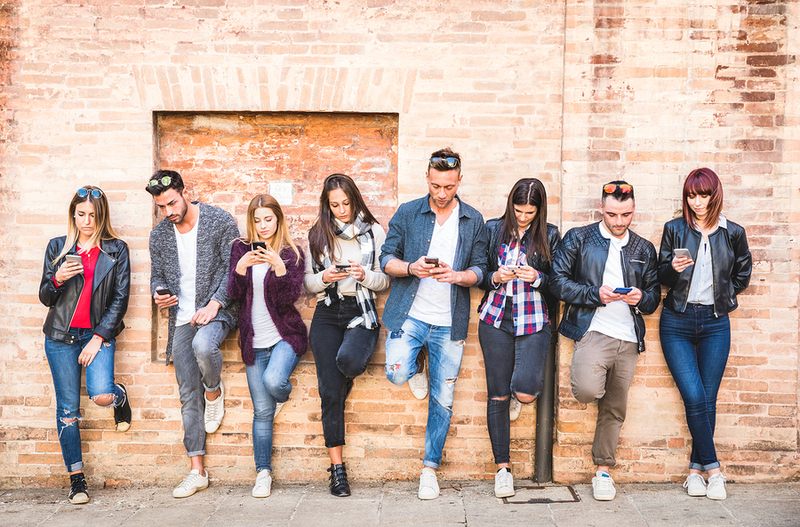 Whilst we appreciate that some studies have shown no cause directly attributable to the use of smartphones and tablets, we think it’s just worth keeping a common sense approach. Keeping things simple, muscle and bone structures work well when they’re in certain positions (optimal length-tension relationship) and the further away from this optimal position we get, the less they can do their job. Ergo, it stands to reason that if we’re looking down for extended periods at our screens (and hence taking key structures like spinal erector muscles outside their optimal position), we would expect our likelihood of experiencing problems to increase. Extended periods of time spent looking down at a screen can put serious strain on your neck and shoulders, even if nothing more than due to the fact you’ve taken them outside their optimal position. This has entered our common vernacular via the term “tech neck”. Your head is designed to sit straight on your neck. Angling your head downwards puts additional weight on your neck thanks to gravity. Touching your chin to your chest can add a whopping 27 kilograms of pressure to your neck, due to changes in the lever arm forces! Naturally, this can be extremely damaging to the muscles and bones in your neck. We get it, we really do – leaning right back into your chair can be comfortable. Given the amount of time we spend seated nowadays, it’s only natural to find the most comfortable way of doing it. While you mightn’t feel the consequences of slouching forward in your chair, the fact of the matter is that, taken into that position, your core muscles and spinal extensors simply don’t have the same endurance to support your body. Just like your neck, your spine is designed to stand upright. This distributes your upper-body weight in the most optimal way. And just like tech neck, poor posture puts additional loading on your muscles, discs and joints. This can exaggerate underlying issues by forcing your back into positions it wasn’t meant to support for extended periods. Your Caulfield physio doesn’t just treat athletes and labourers – a surprising number of case sessions are for office workers. The human hand is an incredibly complicated piece of machinery – it contains 27 bones and even more joints. While that grants it a huge deal of flexibility, that also means there are more points of failure. Many cases of hand and wrist pain can be traced back to repetitive movements. 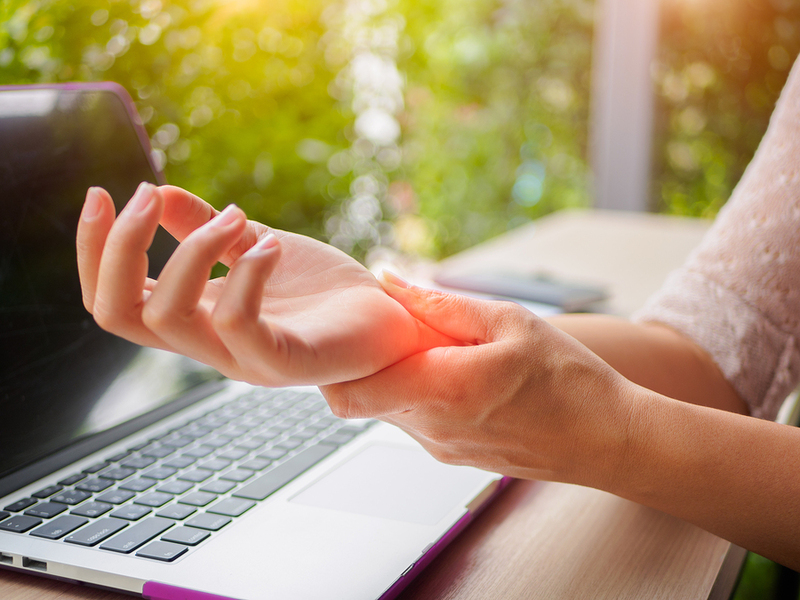 Similar to conditions such as tennis elbow, work and hobbies that are hand-intensive can often result in overuse injuries. Another potential cause of pain is the use of excessive force while using your hands. Are you the type of person who give your pens the death squeeze or types like a jackhammer? If so, it might be best to ease up or take a break every once in a while before you strain your hands and wrists to the point of damage. Additionally, poor ergonomics can also cause hand and wrist pain by forcing your hands and wrists into uncomfortable positions for extended periods. This can strain your ligaments and muscles, causing hand and wrist pain. The only way to cut tech-related pains out of our lives is to cut ourselves off from technology altogether. Of course, you can’t exactly do that anymore! So what can you do instead? Luckily, there are still plenty of things you can do to fend off avoidable pains and problems. Let’s start with tech neck. Avoid the risk of back pain by making a conscious effort to monitor your posture throughout the day. There are also ways to safeguard your hands and wrists. Need a Caulfield physio for your tech pains? If you start experiencing any of these tech pains, help is near! Namely, your local Caulfield physio! Using modern physio techniques and equipment, Physio AUS relieves your pain and prevents it from ever coming back. Our unique AUS system starts by identifying the root cause of your pain. We don’t just mean the specific muscle, tendon or joint – we also look at your posture, technique, and habits, and how that contributes to your pain. Armed with this knowledge, we can modify your routine and completely remove any actions that aggravate your pain and prescribe tools such as back supports to protect you from pain. Get in touch with a Caulfield physio today – give Physio AUS a call on 1300 392 552, or book an appointment now. The Physio AUS System is unlike any other: we prescribe a specific dose of treatment to create the smoothest, safest, and most direct way to get you from where you are to where you want to be! Learn more about our unique AUS System. Suffering from pain or injury? Download our guide to find out the 4 things you need to know to choose the right physio to resolve your pain… for good! do not show this to me again.